On this episode of The Batman vs James Bond Show, Brian is back with lots of exciting news and excitement. Before the main event, Brian gives updates on the state of the show, and lots of exciting new things coming for the New Year. And finally, in honor of it’s 20 year anniversary, Brian reviews the 18th James Bond film The Living Daylights. 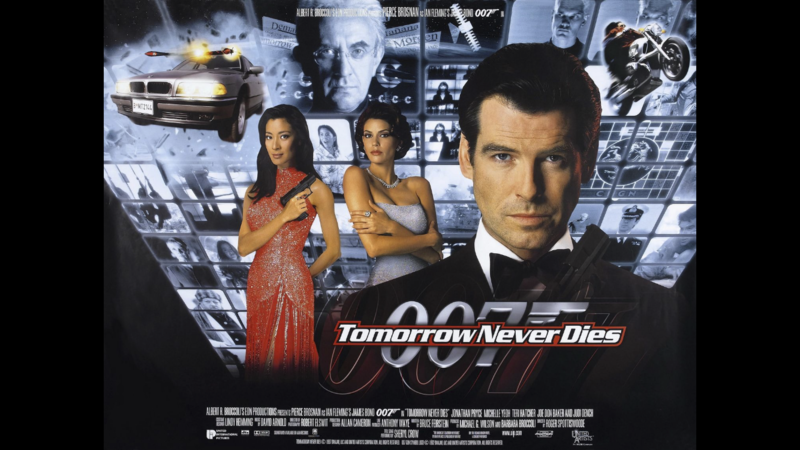 From the backstory and fun facts of Tomorrow Never Dies; Pierce Brosnan’s portrayal of James Bond; the PTS sequence ; David Arnold’s amazing score; Jonathan Pryce as Elliot Carver, Wai Linn, ; a timely plot/story; the BMW Chase; the stealth boat battle finale; is Tomorrow Never Dies one of the biggest and best James Bond movie of them all; plus birthdays and much much more.